Filmmaker Katsuhito Ishii takes a break from the post-Tarantino excess of such highly-stylized outings as Shark Skin Man and Peach Hip Girl for this low-key look at an eccentric family residing in a quiet countryside town just north of Tokyo. The Haruno family is a five-piece clan living the simple life in Japan. The summer sun shining gently down, this quiet quintet is transformed into a six-piece when urban-dwelling uncle Ayano (Tadanobu Asano), a successful music producer, arrives to visit his family and confront his feelings for the ex-girlfriend who married another man after Ayano moved to the city. As the lazy days pass by, each member of the family is followed in a series of episodic vignettes. Eccentric grandfather Akira (Tatsuya Gashuin) seems to reside in a wondrous universe of his own making, while imaginative mother Yoshiko (Satomi Tezuka) is attempting to re-establish herself as an anime artist and hypno-therapist father Nobou (Tomokazu Miura) practices his trade on willing family members. Meanwhile, on the youthful side of the clan, son Hajime (Takahiro Sato) attempts to get his hormones in check following the arrival of a pretty new classmate, while haunted daughter Sachiko (Maya Banno) stealthily attempts to avoid her massive doppelganger - a mysterious figure who seems to be tracing the girl's every move. The film could easily lose a half-hour, but it rewards with a promise that there are unexpected marvels in the world and moments of real grace. 'Weird but cool,' as one character says -- yet the movie is also remarkably touching. 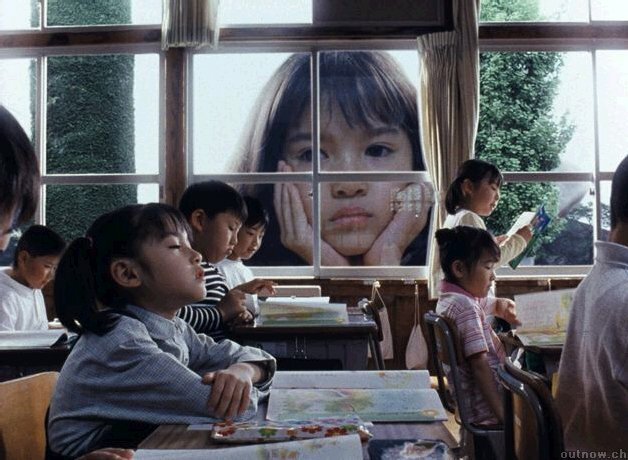 The most charming comedy in town, writer-director-editor Katsuhito Ishii's 2003 piece is a modern Japanese variation on You Can't Take It With You, with some lovely fantastical flourishes. A tad too long, Tea is nevertheless touching and funny, with charming performances. You might say it's as calming as a hot cup of green tea. I'm haunted by its whimsical surreality -- and by it's startling conclusion. The title is well-suited for an Ozu film. The imagery is joyous, delightfully imaginative, serene and beautiful, and ultimately enchanting. A messy, heartfelt entanglement of tangential indulgences into the wild eccentricities of human behavior. ...a film that celebrates the small joys of life, and it does so in a way that's both engaging and understated. "The Taste of Tea" begins with Hajime(Takahiro Sato) devastated because the girl he has a crush on is moving away before he was able to fully express his feelings to her. His younger sister Sachiko(Maya Banno) has problems of her own with a giant representation of her that hangs over everything she does. Their uncle Ayano(Tadanobu Asano) once had a similar problem with a Yakuza ghost until he conquered the horizontal beam which inspires Sachiko to try the same thing. More vulgar than it probably had to be, "The Taste of Tea" gets off to a good start with some coolly surreal images before spinning its wheels for its very extended running time. At least the film does not devolve into "Saragossa Manuscript"-like insanity but that's not to say there is much in the way of focus here, as tangents from the children's lives form at will. Some of them are amusing while others just sit there. And with a movie that is as formed around special effects and fantasy as this one, it is ironic that the one transcendent scene involves neither, just honest to goodness emotion. Very enjoyable, I'm a sucker for weird Japanese movies with weird characters; the old gramps was hilarious n_n I liked the surrealistic edge. I'm glad I finally got to see it! Rare is the movie that manages to be wonderful despite being incredibly convoluted and about half an hour longer than it should. The Taste of Tea is a wonderful exception. Yeah, it meanders aimlessly between more characters than you can shake a stick at, but it's so unabashedly charming that I didn't care. I just sat there and enjoyed myself, laughing during some of the more memorable sequences. If you're in the mood for something "quirky" but don't want something overtly weird, this is the way to go. Contrary to those Oscar-heralded pieces of garbage, this is a movie that doesn't structure its characters into the confines of a narrative pie chart and doesn't treat these individual experiences as manipulated moments for the audience to laugh at, but as a collective recollection we can all fondly recall as at least partially our own. Too many films falsely pretend that people aren't inherently weird. Here, that quality is the one most celebrated.